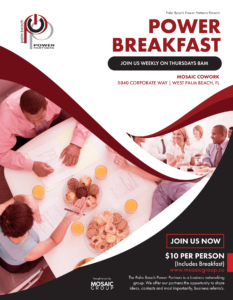 Join us this Thursday morning February 7th at the Mosaic Group to obtain important information! Mayor Mack Bernard was elected in November 2016 to the Palm Beach County Commission, District 7. Mack ran for County Commission in order to put his experience to work for our community. He ran on a platform of creating more good paying jobs and job training opportunities; improving public safety and law enforcement relations; increasing small business, women and minority participation in county contracts; keeping taxes low, and advocating for more affordable and sustainable housing.